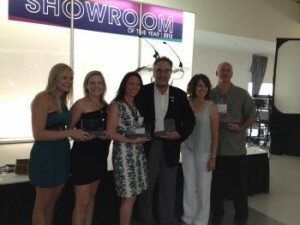 Norburn Winner of The 2012 Lighting Showroom of The Year! 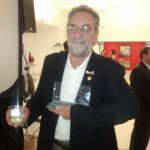 Posted June 26, 2012 by Norburn Lighting and Bath Centre & filed under In The News . June 26th 2012 Vancouver, B.C. 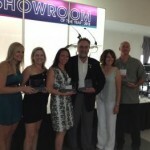 On June 21, 2012, Norburn Lighting and Bath is proud to announce it was selected as winner of the Showroom of the Year Award at a cocktail reception on the opening night of the Dallas Intl. Lighting Market. 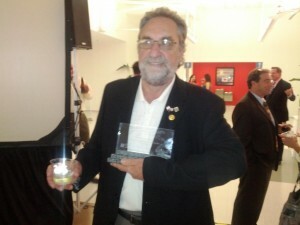 The awards were sponsored by Residential Lighting and Dallas Market Center. Three geographically diverse retail, visual display and marketing experts judged the finalists and winners. This year’s judges included Michelle Lamb, Chairman of Marketing Directions Inc. and Editorial Director of The Trend Curve, Eden Prairie, MN; Jon Schallert, President of The Schallert Group and founder of Destination University, Longmont, CO ; and Crystal Vilkaitis, Director of Social Media for SnapRetail, Vista, CA. Judges praised Norburn Lighting & Bath for their “investment in a new luminaire theatre space,” as well as for their customer service strategy.